The Intro to New Media class you know and love will be available online for the first time ever in Summer 2016! Selected as a 2016 Online Learning Fellow, John Weatherford will be working with a cohort of faculty and a team of instructional designers to translate NMIX 2020 into a compelling online course. 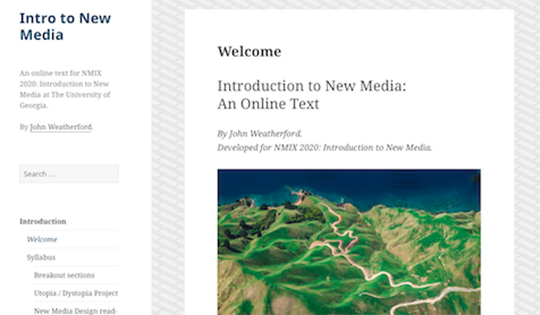 This is the NMI’s second online course (after Emuel developed 4110 as an Online Learning Fellow last year), and we’re thrilled that we’ll be able to offer students an alternate time and format for 2020.